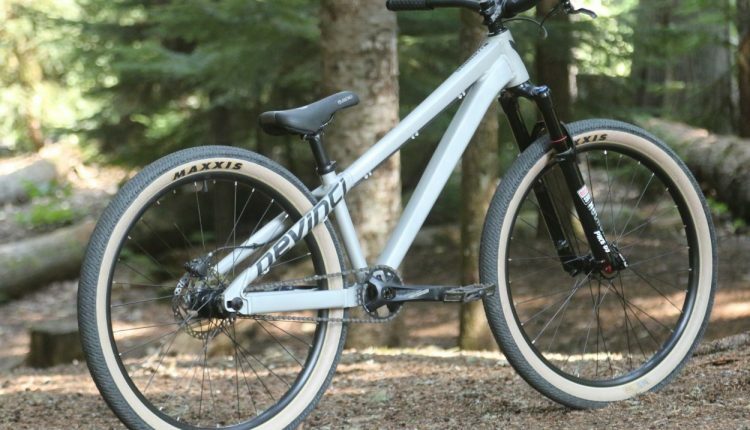 Going big: Matt Jones, riding for Marin Bikes, pulled off a series of tricks, including multiple no-handed backflips, as well as an impressive double backflip. 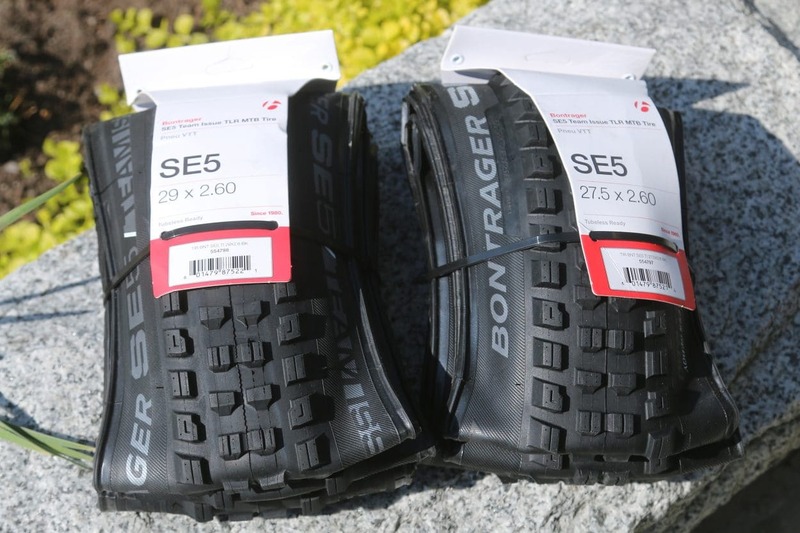 All this, however, was not enough to earn him a podium finish. 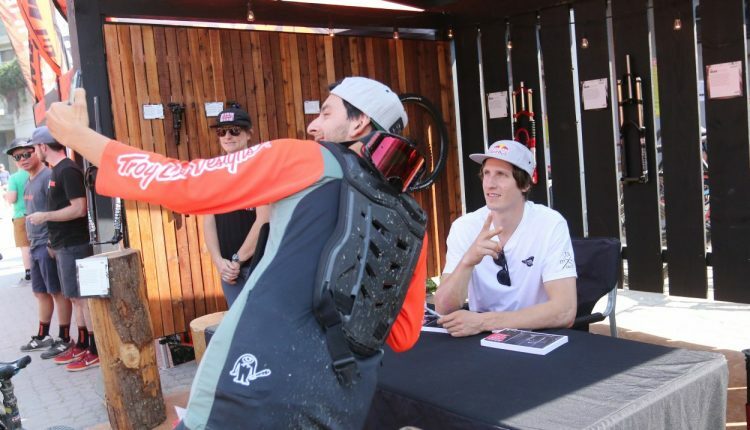 Photo by Scott Serfas/Red Bull Content Pool. 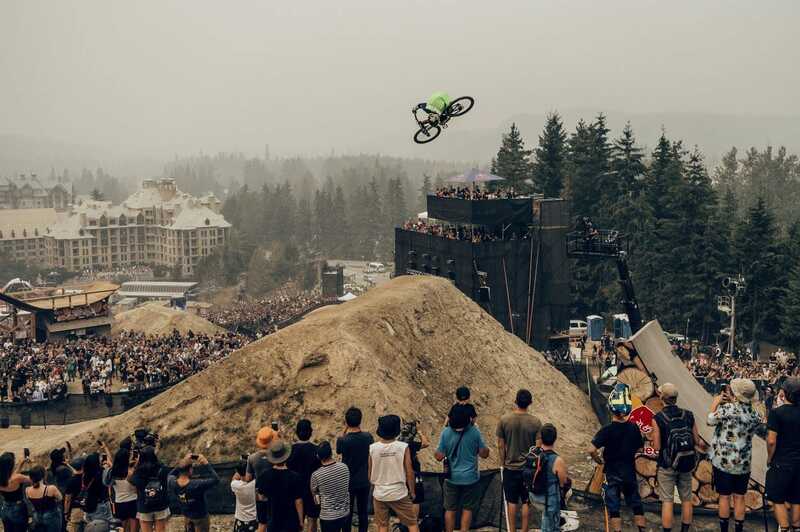 Whistler is the final stop of the Crankworx World Tour, attracting huge crowds of riders to North America’s premier mountain bike resort every summer for the last 15 years. 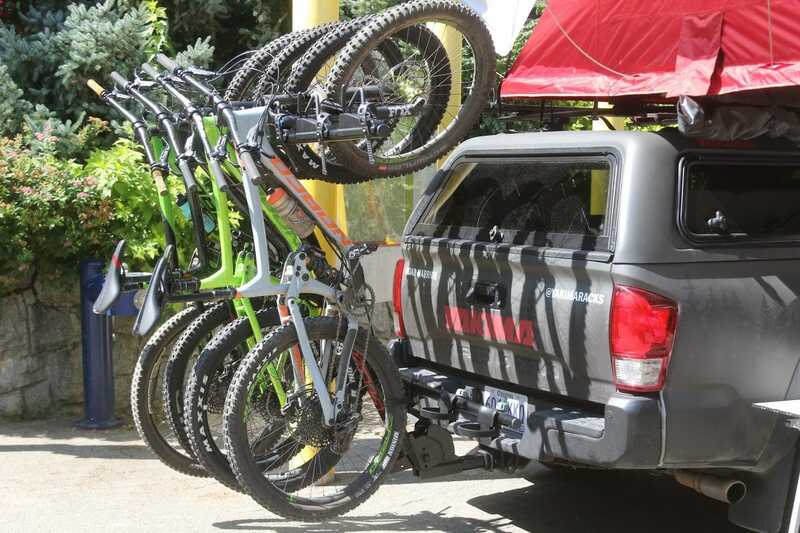 The venue is prime for all riders, with trails ranging from mellow and beginner-friendly all the way up to advanced jump trails. 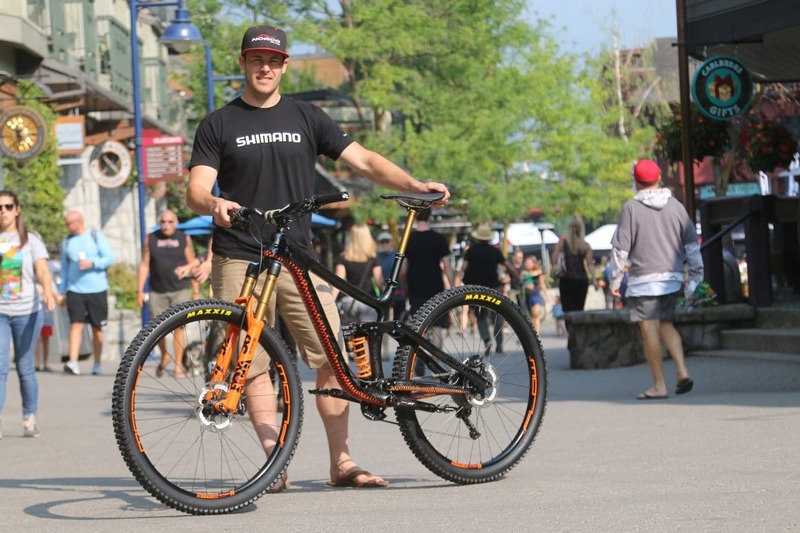 Whistler provides an environment for families, pros and enthusiasts alike. 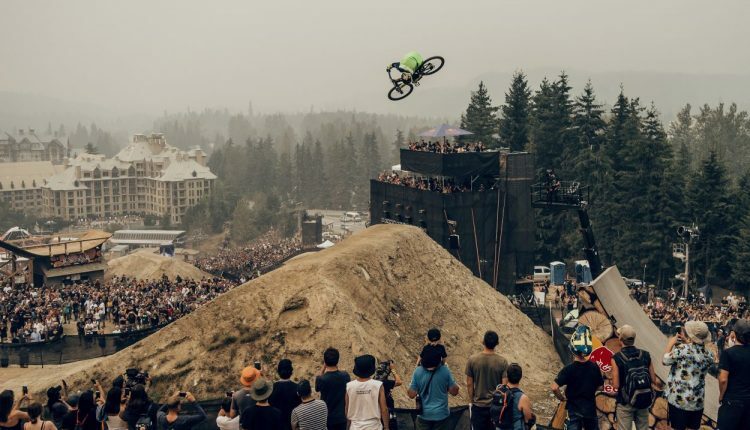 The Crankworx show is packed with pro racing and freestyle events, but many swarm to these premium trails to test their own skills in amateur racing. 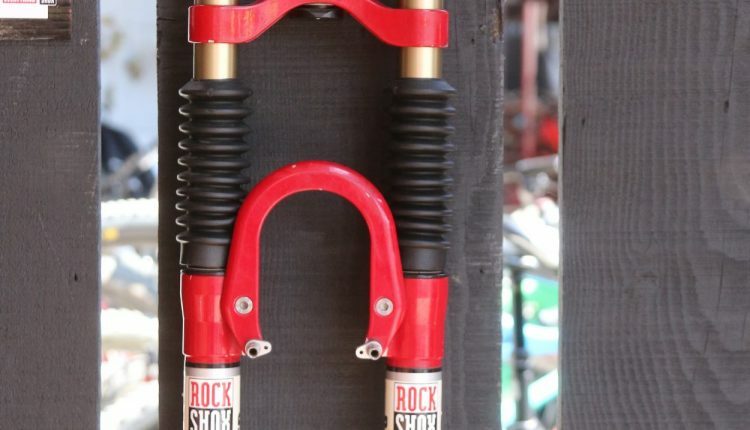 Our favorite part of the show, however, is walking through the Village, otherwise known as the pit area, to meet with the numerous vendors attending the event. 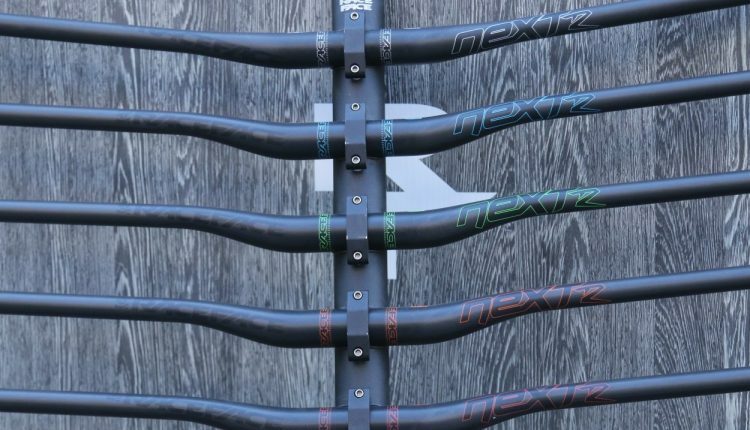 We scoured the pits this year in search of new bikes and cool products in order to give you a first look at some of the gravity gear and rigs you might be riding next year. 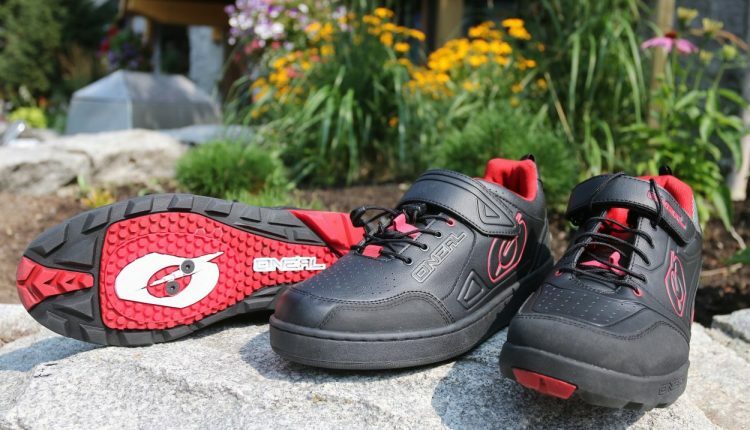 New kicks: O’Neal showed us early samples of their new cycling shoes, which are available in both flat-pedal and clipless options. 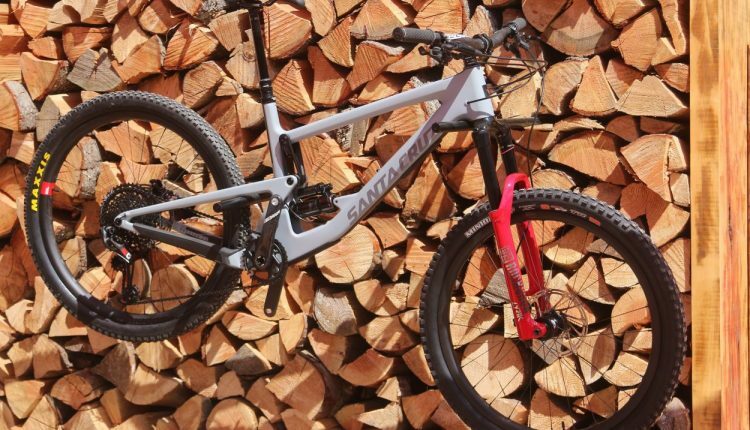 An all-new Stumpy: Specialized showed off an all-new Stumpjumper with an aggressive twist. 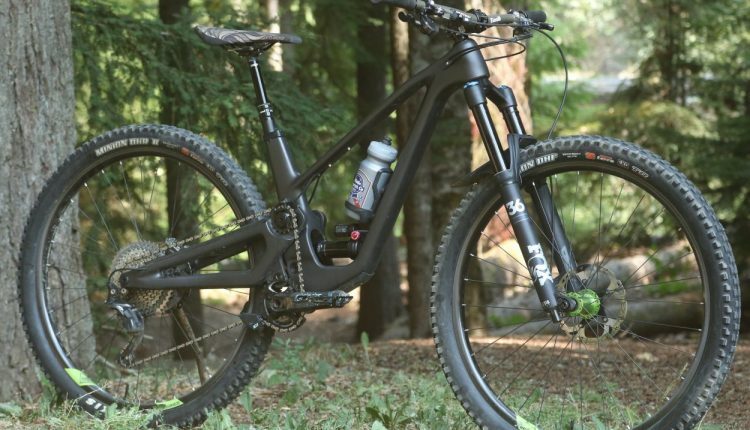 The Stumpjumper Evo is a bike made to get rowdy with a long front center, 29- or 27.5-inch wheel options and a head tube angle that’s almost too ludicrous to say out loud. 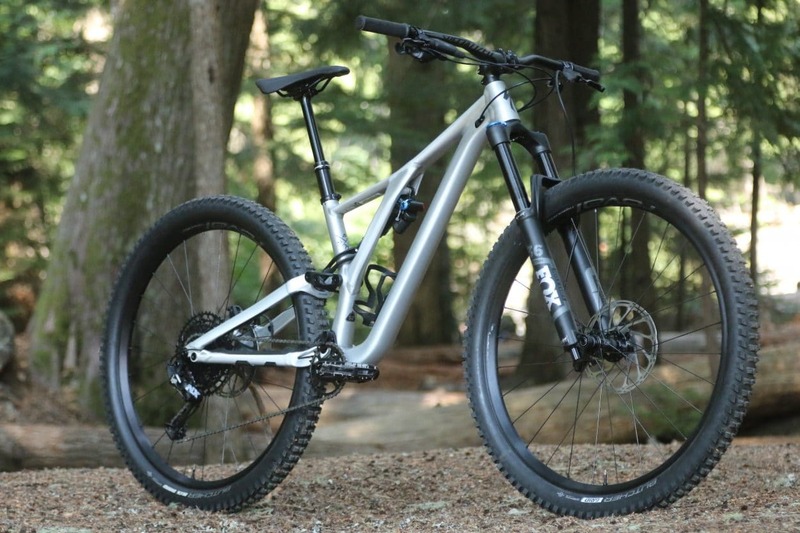 Currently, the Stumpy Evo is only available with an aluminum frame and retails for $3600. 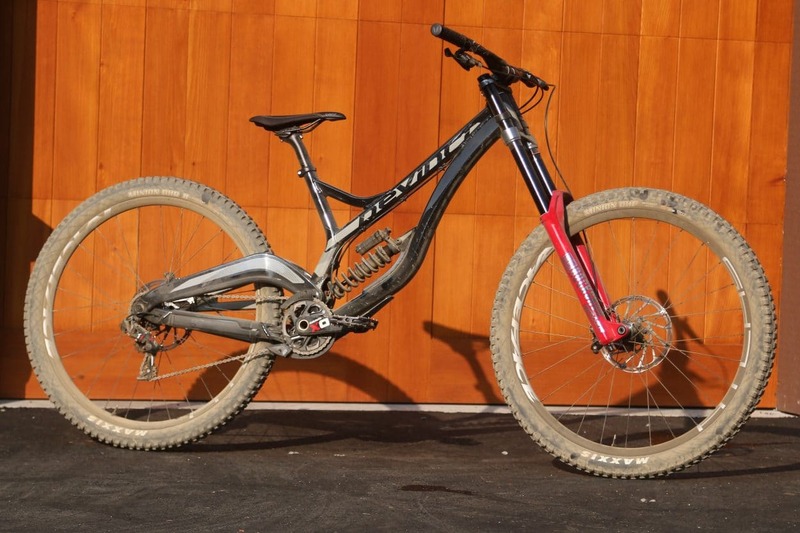 Peaty’s one-stop shop: Downhill legend Steve Peat recently launched an all-new line of high-end bicycle care products formulated to perform at the peak levels of World Cup racing. 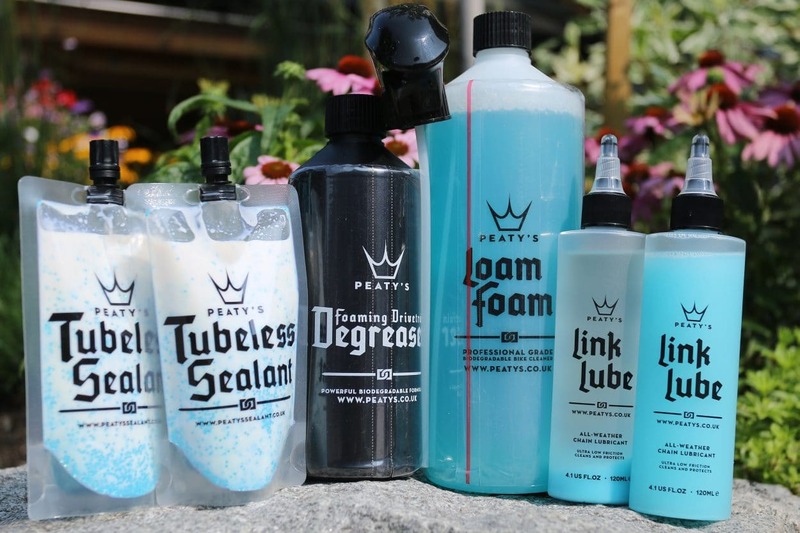 From tire sealants and lubes to cleaners and degreasers, Peaty’s has it all. 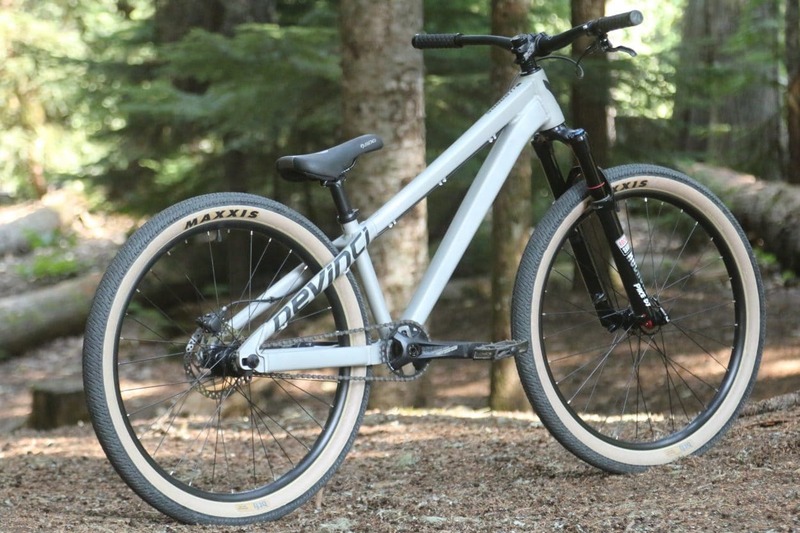 Pump it up: Devinci debuted an all-new pump track bike called the Sabbath, fea- turing an aluminum frame entirely built in their Canadian headquarters. 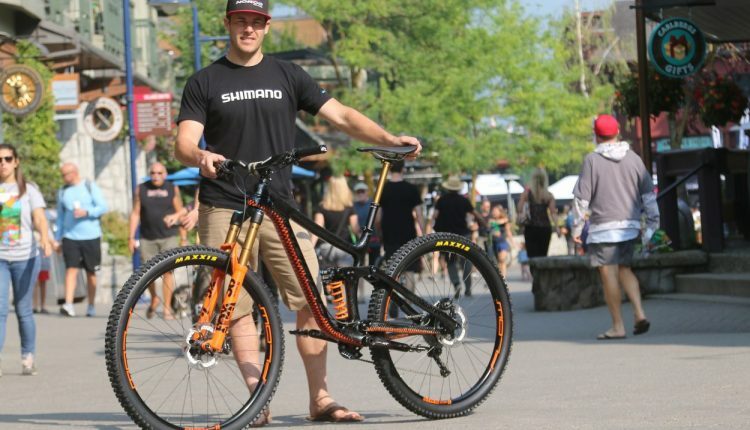 This 26-inch- wheeled machine helped Devinci’s Keegan Wright take fourth place at this year’s Ultimate Pump-Track Challenge. 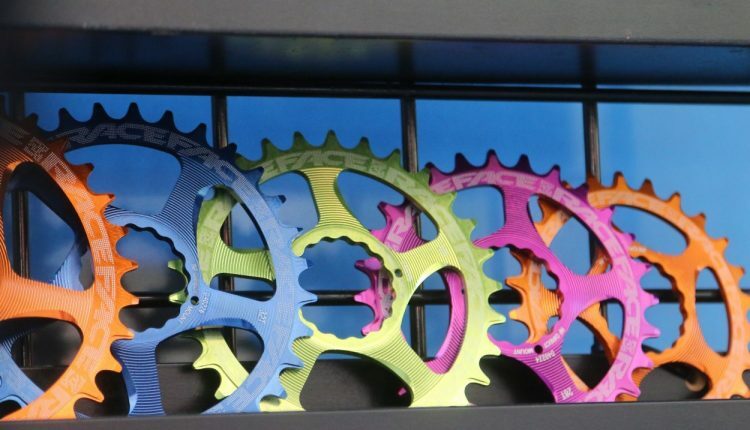 Add some bling: These direct-mount chainrings from Race Face are guaranteed to add some bling to your ride. 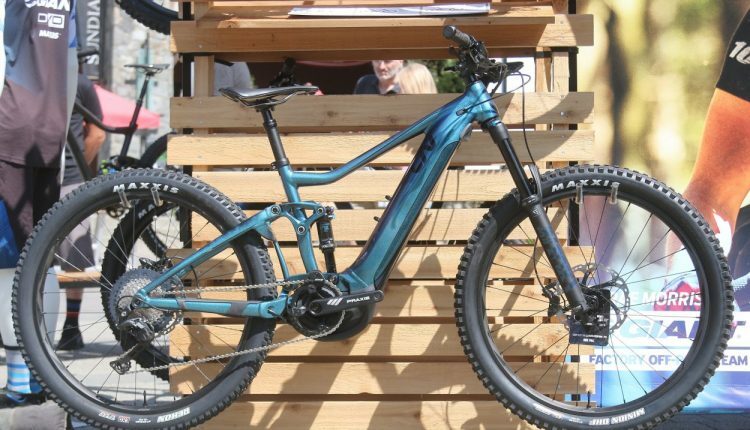 Dream bike for sale: Knolly, a British Columbia-based mountain bike company, asked one of their employees to build his dream bike to be displayed at Crankworx this year. 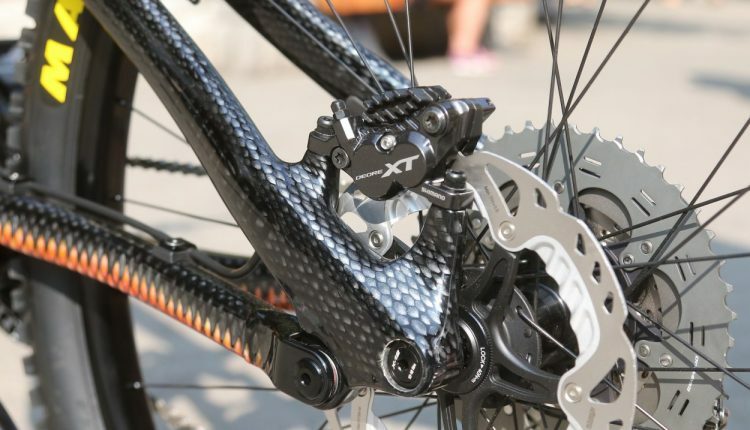 The employee jumped at the opportunity and spent countless hours carefully choosing every component. 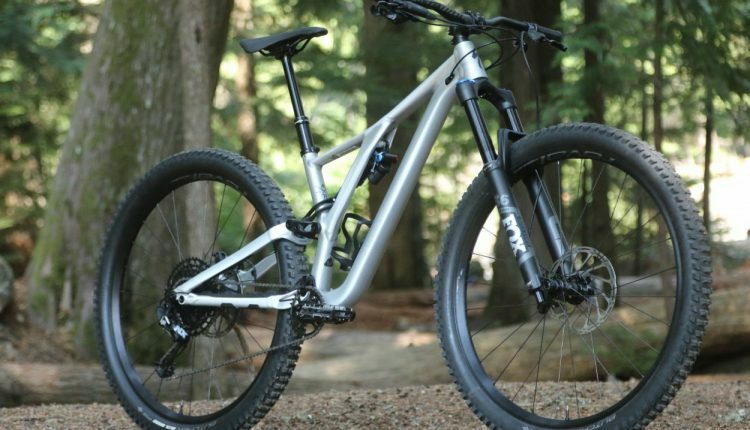 The end result was one sweet aluminum enduro machine; however, what Knolly forgot to mention to this employee was that his dream bike would later be sold to one lucky customer. 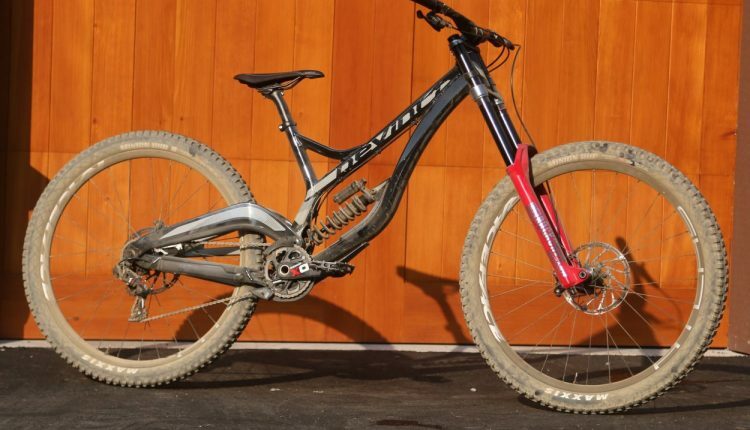 Contact [email protected] to see if this dream machine is still for sale. 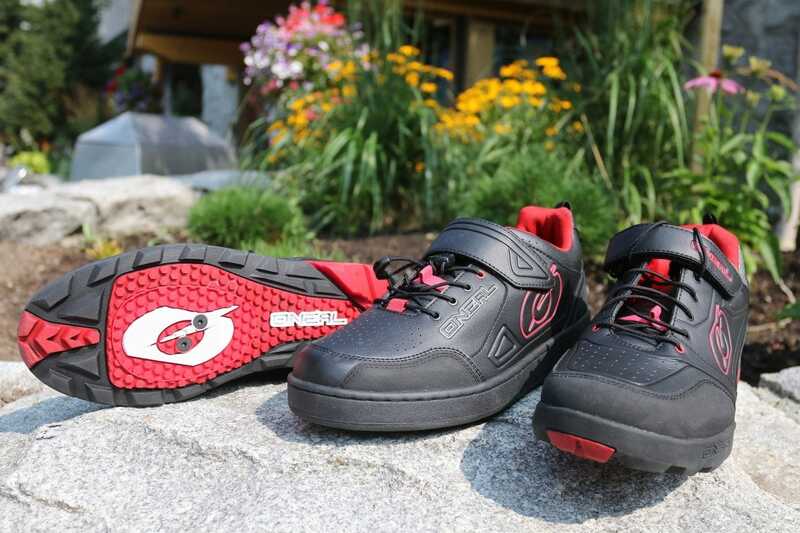 Five Ten/Adidas collaboration: Adidas acquired Five Ten a few years back and has a few new kicks in their line-up. 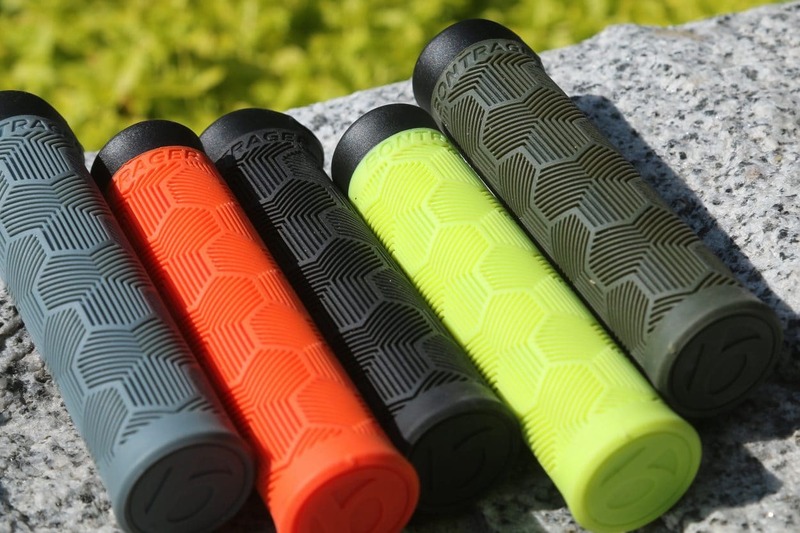 Fury Carbon 29: GT is an iconic brand with a cult following who still to this day scour eBay for deals on collectible GT BMX bikes and vintage mountain bikes. 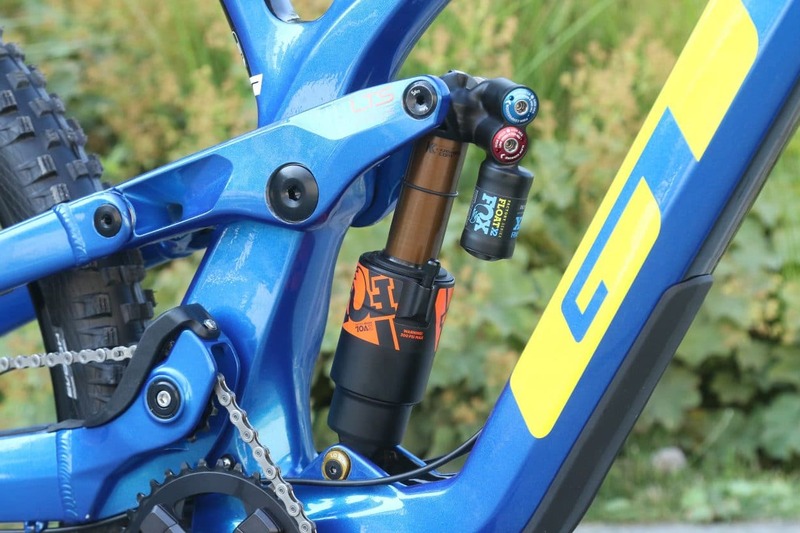 Earlier this year GT revamped their enduro and trail bike lineup with an all-new LTS suspension platform. 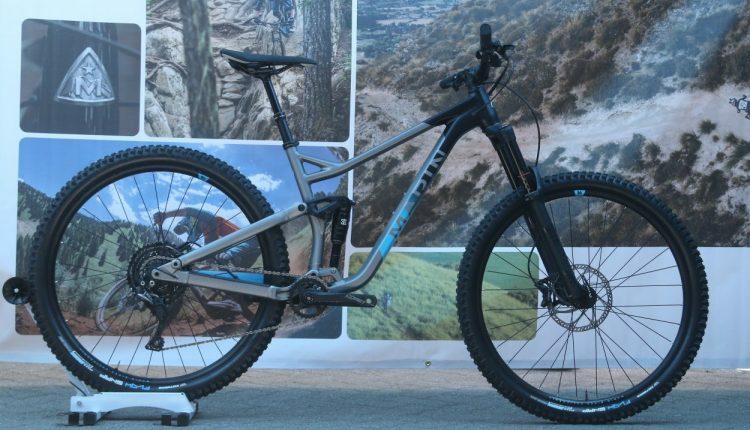 Both the new Fury 29 and 27.5-inch models received LTS suspension featuring 200mm of travel. 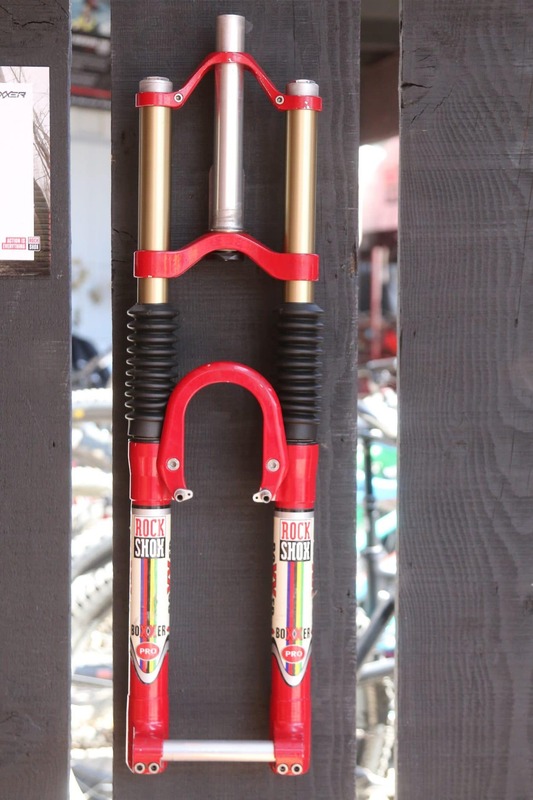 The Team Edition shown here has a Fox Float Factory 49 fork with 190mm of travel, along with a full Shimano Saint group and a custom E*thirteen chainguide. of just four employees. 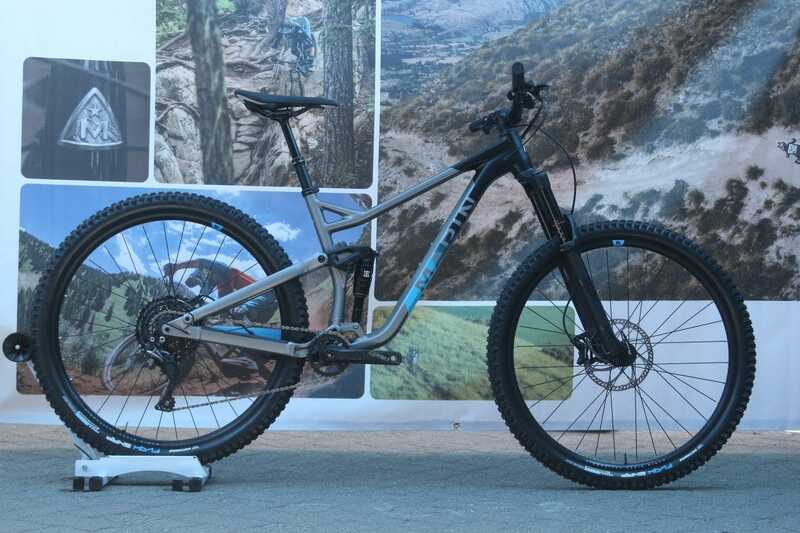 This new bike rolls on 29-inch wheels and is built around 130mm of travel. 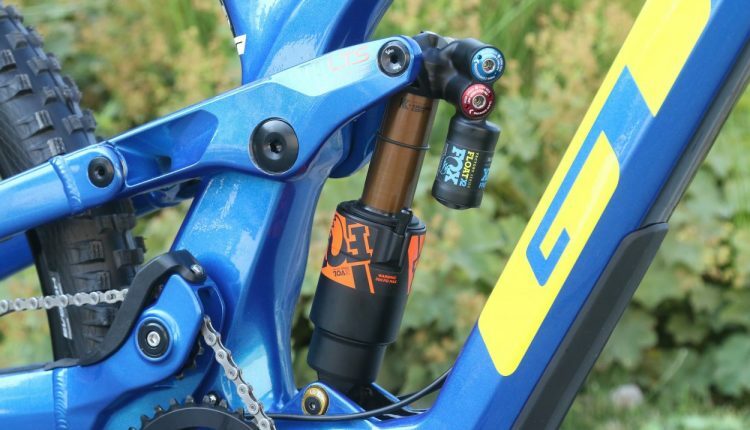 Suggested fork travel is 150mm; however, more aggressive riders can place a longer 160mm-travel fork on for a slacker head tube angle. 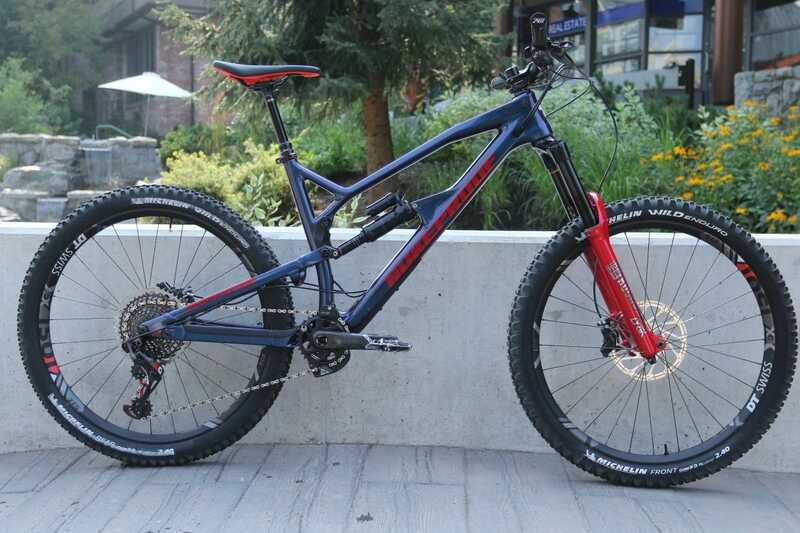 The prototype had a threaded bottom bracket and is said to be compat- ible with a wide range of air and coil shocks due to the suspension’s progres- sive nature. 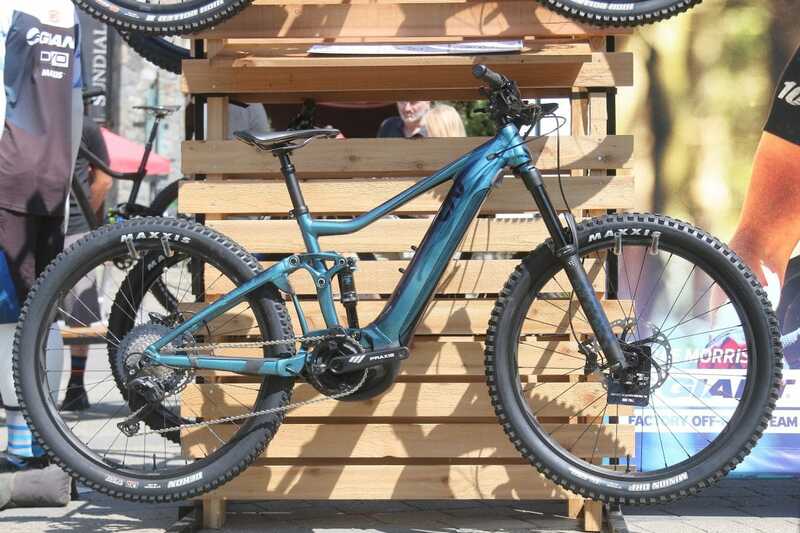 Forbidden has yet to name this bike but expects frames to be available for purchase by early 2019. 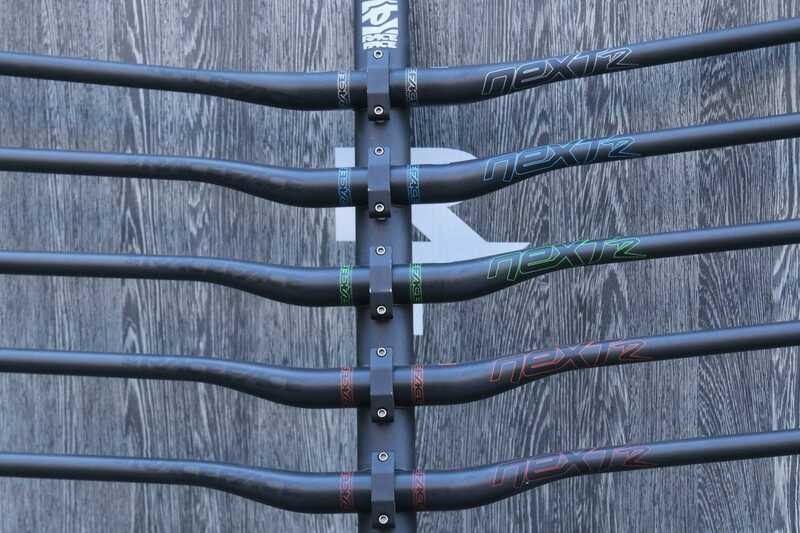 New colors: Race Face announced new color options for their line of Next R handlebars. 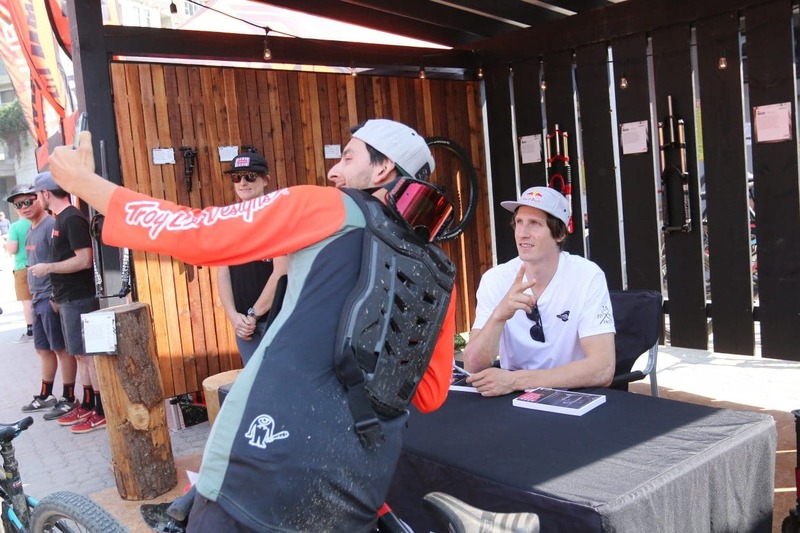 On the hunt: It’s always important to stay vigilant while walking through the village at Crankworx. 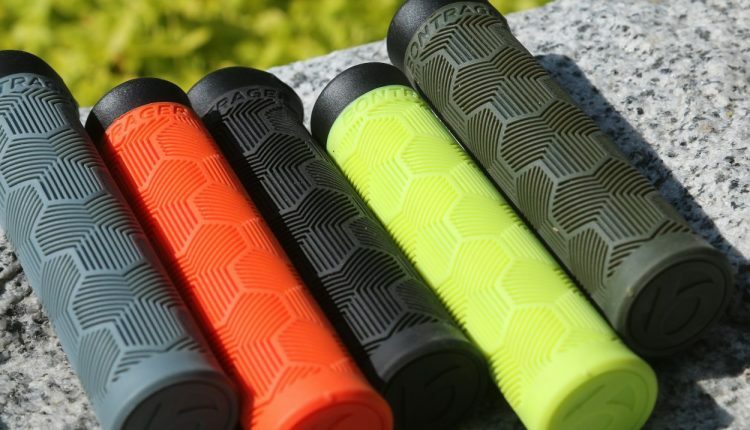 More than likely you’ll find something not yet intended to be seen. 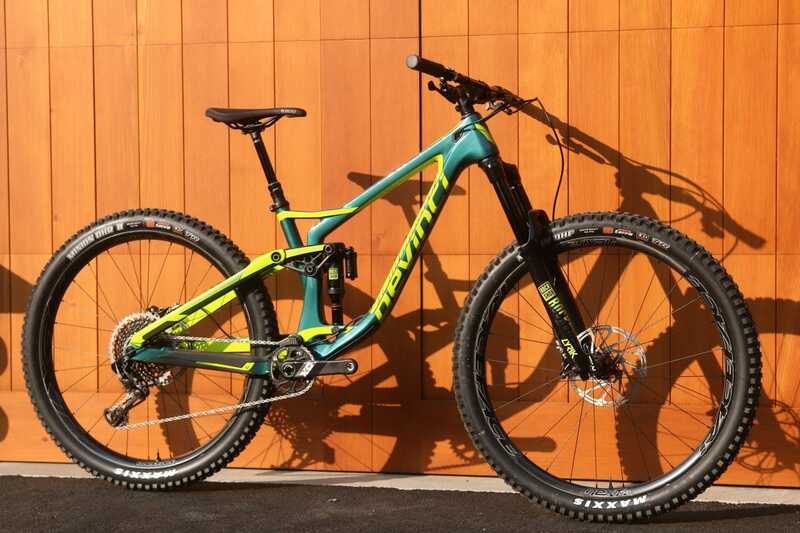 Our editor in the field spotted this 2019 Nukeproof Mega carefully being scurried through the village since it wouldn’t be released for another few months. 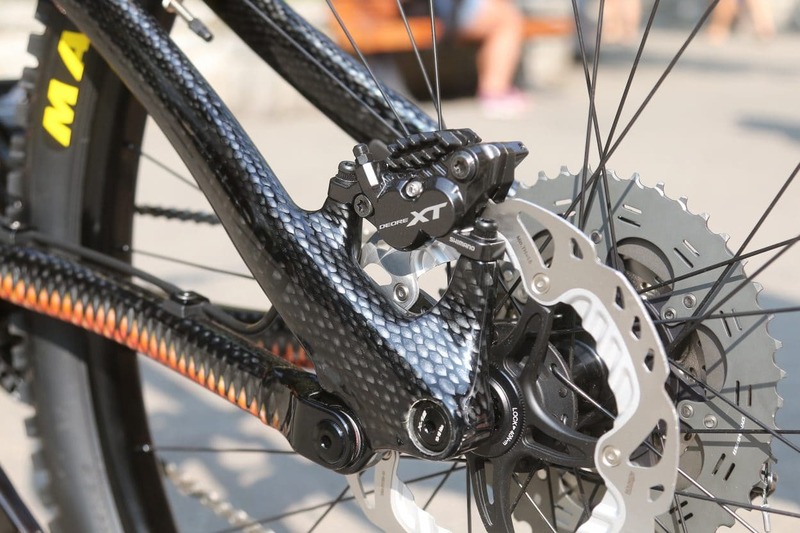 With a camera in our hands and a media pass around our neck, we managed to stop this bike long enough to fire a few shots. 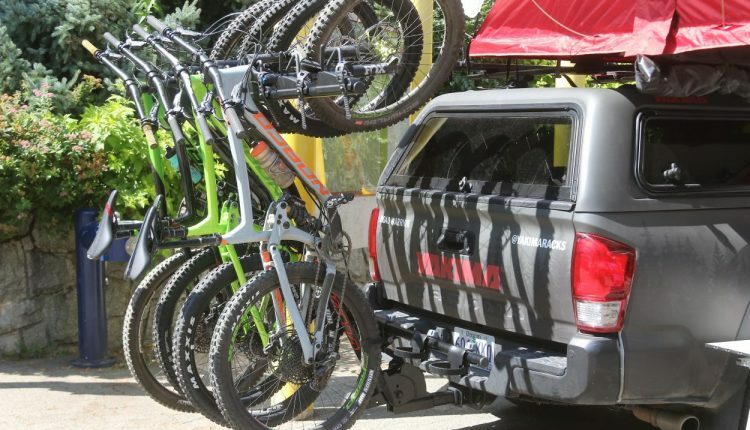 Headed to the North Shore: Yakima displayed their all-new North Shore-style rack designed to carry six bikes in an upright position. 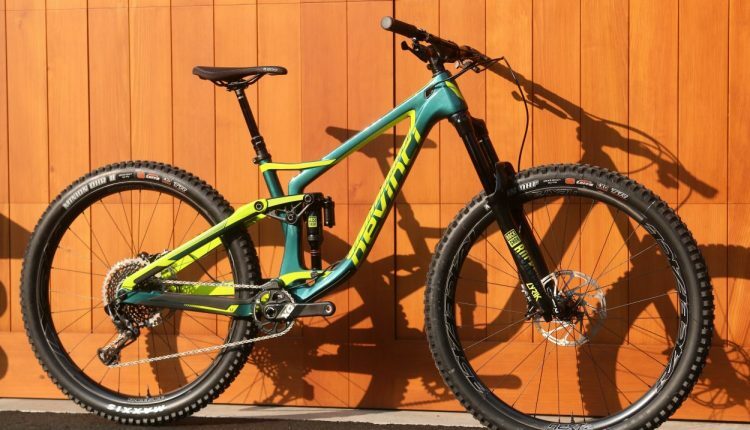 Looking for a way to take all your buddies to the trailhead? 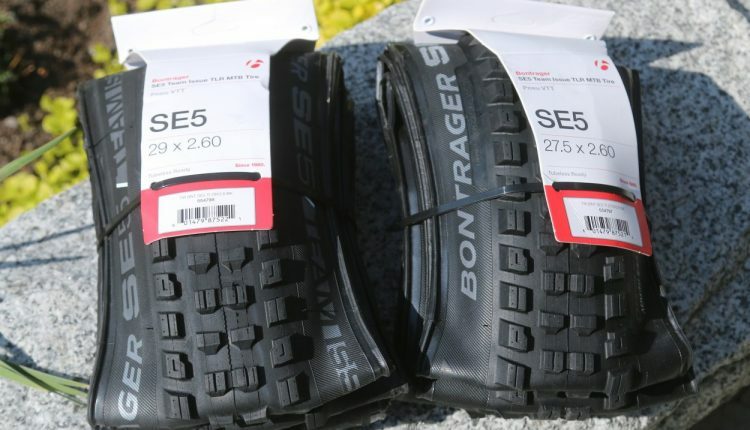 This just might be your solution. 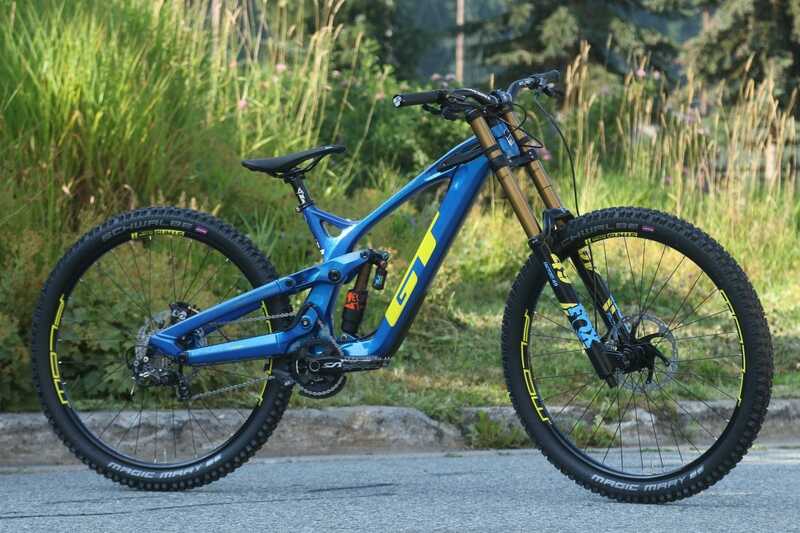 Selling bikes since 1986: Marin’s Alpine Trail 7 is an affordable enduro bike with 150mm of travel and a value-driven component package. 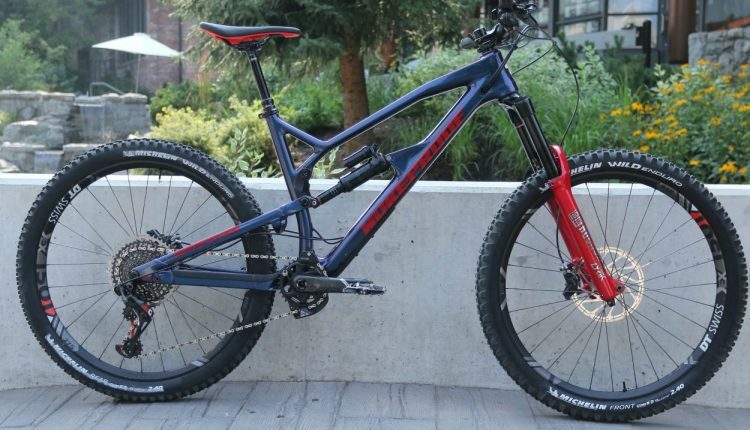 Retailing for $2750, this 29-inch all-mountain bike is ready to ride any high-alpine trail. 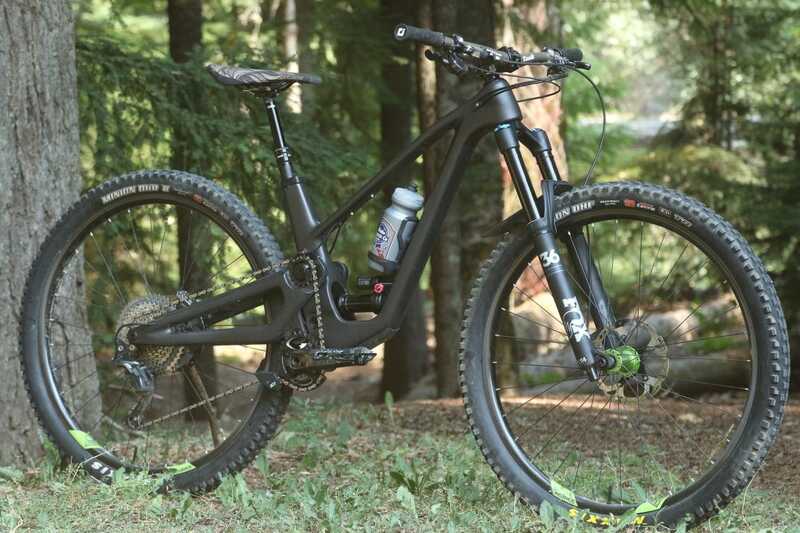 Bigger shoes, same great performance: The Spartan was one of our favorite bikes from the year and was even graced with our Editors’ Choice Award. 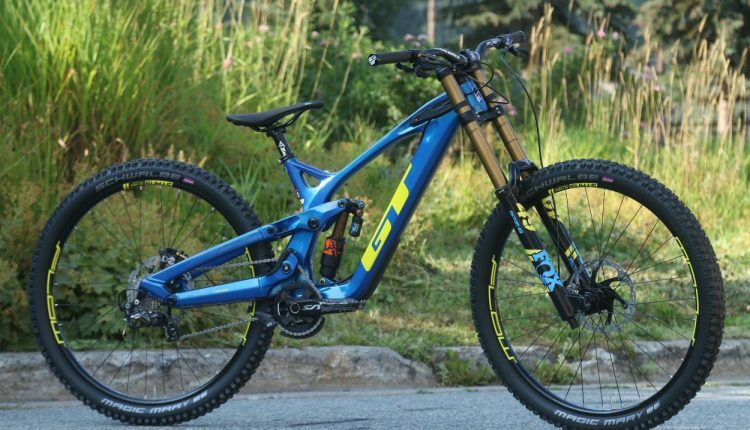 We met up with Devinci outside of the village to snap some photos of their all-new Spartan 29. 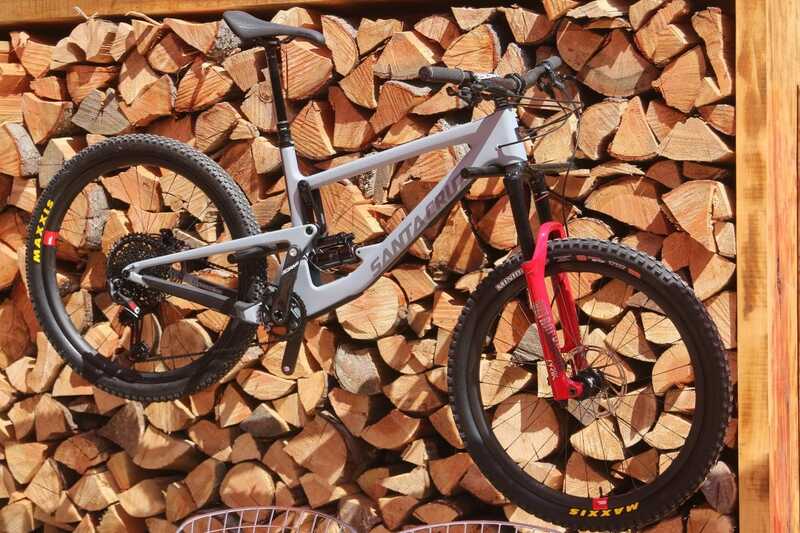 The Snake bike: Bryn Atkinson posed with his new Norco Range custom-painted by Tony Baumann. 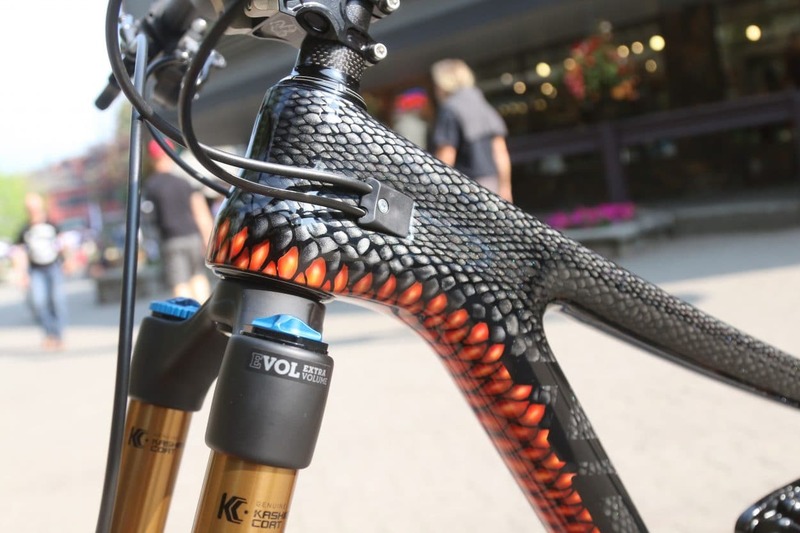 The bike was modeled after an Australian red-bellied black snake, pay- ing homage to Bryn’s Australian roots. 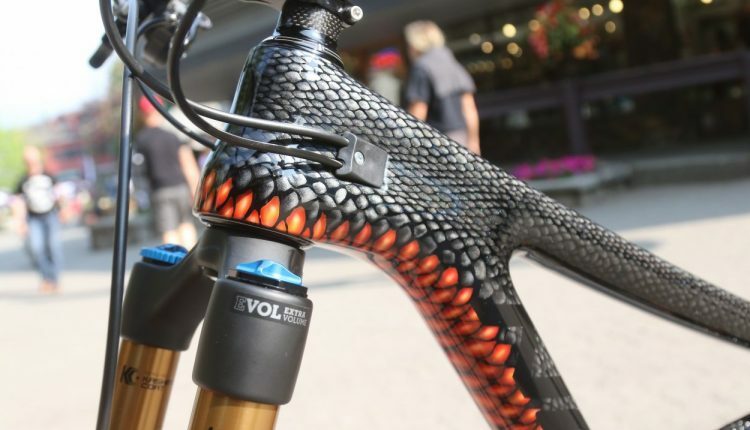 Over 80 hours was spent airbrushing this frame by hand. 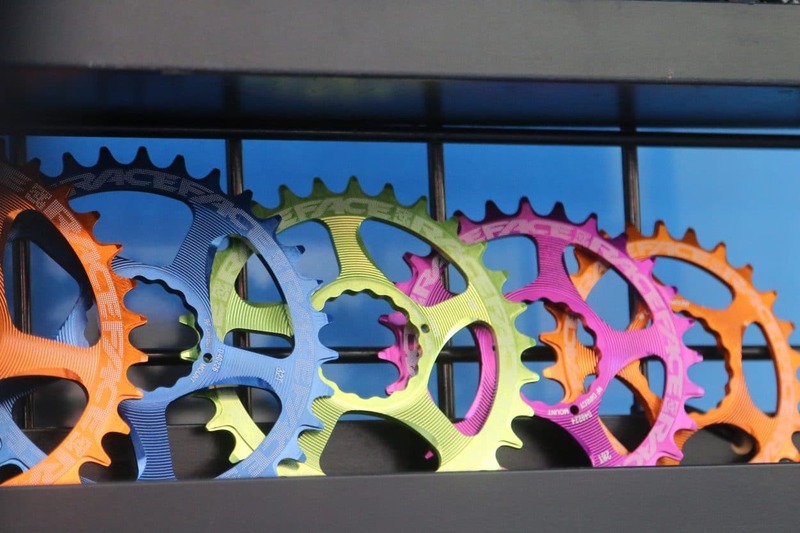 Stay tuned for a more in-depth story in our upcoming Febuary 2019 issue.